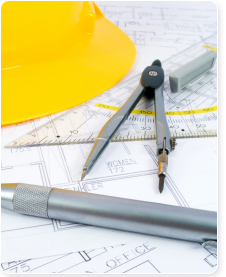 Roland Construction, Inc. is a Designer/Builder offering single-source responsibility over all phases from design through construction. We are an authorized Varco-Pruden Buildings Contractor who has actively embraced advanced technologies over the years by implementing computer systems and software applications to enhance responsiveness, precision and quality of service. Varco-Pruden Building’s VP Command Engineering and Estimating program is among the most advanced construction software in use today. This allows us to utilize our extensive design/build background to integrate the use of steel buildings with conventional tilt-wall construction to provide the flexibility in every design to satisfy our customer’s specific needs. Our completed projects make up over five million square feet of Industrial, Commercial and Agricultural buildings in the San Joaquin Valley and surrounding counties. We have designed and built a wide variety of pre-engineered steel buildings including: worship facilities, school buildings, airplane terminal hangers, commercial office buildings, private storage buildings, industrial facilities, gymnasiums and winery facilities. Many of our past projects have been recognized for awards such as the MBCEA National Building of the Year (‘08, ’00) and added to the VP Hall of Fame (28 times, with 6 being Best of Category). Our hard work over the last 25 years has built our reputation as not only an award winning builder who is constantly striving to incorporate the newest, most innovative building techniques but as an active and caring member of our community. Roland Construction has been an active member of the Builders Exchange since 1986, a member of the Metal Building Contractors & Erectors Association (MBCEA), a member of the Greater Stockton Chamber of Commerce, a member of the San Joaquin Farm Bureau, a member of President’s Advisory Council of VP Buildings and a supporter of various local charities including the Stockton Emergency Food Bank, Lodi Adopt-A-Child and the San Joaquin County Historical Society. We are very proud to say that many of our employees are also active members within their communities as well.